The ESP-9112 is a new generation of switch from Advantech Networks and Communications Group and is optimized for use in software-defined networks (SDN) requiring 10 and 40 Gigabit Ethernet connectivity. It combines a high performance, low-latency Broadcom StrataXGS® Trident II BCM56854 switch for up to 680Gbps of forwarding bandwidth and a server-class Freescale QorIQ T4240 communication processor with 24-cores, providing a powerful and flexible platform that supports enhanced features essential for top-of-the-rack deployment in modern data center switching installations. Data center networks require increasingly denser 10GbE and 40GbE connectivity at the access and aggregation layers in order to address the higher speed network interface cards being deployed in servers and the increased link utilization due to widespread use of virtualization. The ESP-9112 combines the performance and efficiency of a traditional network switch with the manageability, flexibility and security required for SDN. With fiber support for six 40GbE QSFP ports and forty-four 10GbE SFP ports in a 1U rackmount design, the ESP-9112 can be used to build highly scalable, feature-rich, top-of-rack switches and aggregation equipment to connect big data, cloud and optimized workloads in the data center. When enabled by VortiQa Open Network switch software, Enterprise IT and cloud service providers will be able to drive greater flexibility and efficiency into their software defined infrastructure to support the increasing demand for new and innovative services. The platform utilizes standards-based protocols such as OpenFlow, and supports manageability through open technologies such as OpenStack and OpenDaylight. It also enables exceptional network security for virtualized environments by supporting the integration of high performance packet processing functions such as firewalling, intrusion detection and IPSEC over VxLAN. 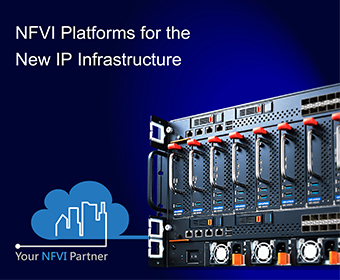 It also includes VNF support, commercial grade VortiQa SDN software supporting OpenFlow version 1.3 with extensions for Layer 4 and above protocols, and Layer 2/3 forwarding. Redundant, hot swappable, DC power supplies and fans, along with IPMI 2.0 and OpenIPMI hardware management interfaces provide the high availability and management features which equip the switch for managing business-critical traffic. One 10/100/1000 Ethernet RJ45 port and two serial ports are available for out-of-band management with two USB ports available for installation and maintenance needs. One ID LED helps users identify fail equipment in short time. Two 128GB SSD devices within the chassis provide storage for boot images allowing external network nodes to be loaded and booted from the switch.